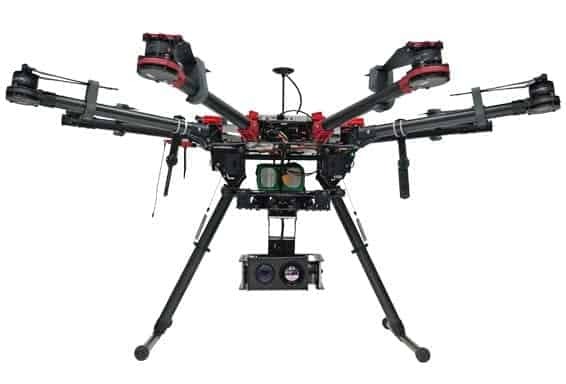 UKRSPECSYSTEMS has developed industrial-grade UAV camera gimbals for use on commercial drones. The USG-301 and USG-302 are high-performance EO and EO/IR gimbals, featuring 3-axis gyro-stabilization, advanced damping mounts and best in class sensors. Designed specifically for inspections and surveying, both payloads include Full HD cameras with 30x optical zoom, while the USG-302 dual-sensor gimbal also has a thermal camera and the ability to switch quickly between the sensors or to stream both video feeds simultaneously. The gimbal chassis offer high level of stabilization to keep sensors steady during flight, producing clear imagery. A high performance gimbal controller ensures smooth movement of the gimbal and the advanced damping mount eliminates vibrations from the airframe. Slip-rings are also integrated into the gimbal, allowing it to continuously rotate 360 degrees. Each of the gimbals can be easily mounted on a DJI airframe without any additional tools. 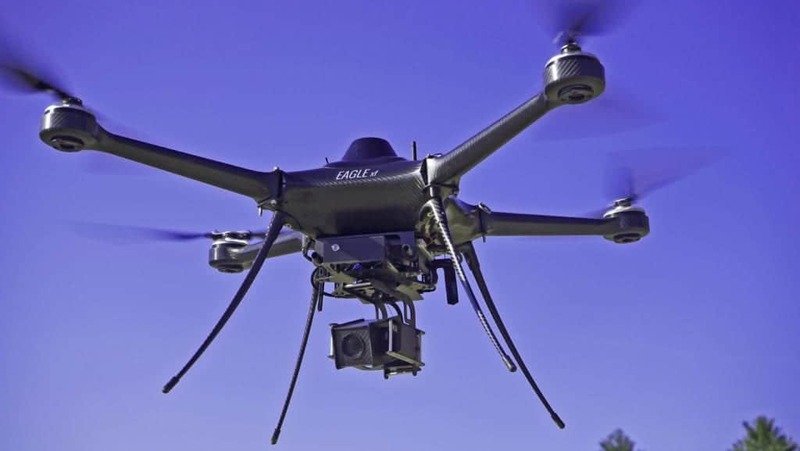 The USG-301 and USG-302 UAV gimbals have been successfully tested on commercial DJI airframes such as the DJI Matrice 600 and DJI S1000, amoungst others. The simple installation process ensures the gimbal can be easily mounted on the airframe without any modifications. Full compatibility with popular video transmitters, such as the DJI Lightbridge 1 and 2, Amimon Connex and Amimon Connex Mini, means transmitters can be attached to the gimbal itself among with RC controller receiver, for a complete “plug and play” system that can be mounted on the airframe and powered from the drone power source. In addition to standard control functions, such us pan, tilt, camera zoom, and a defog function, the gimbals feature a Full HD on-board recording function and the ability to take still images, providing a great set of tools for inspection purposes. Material can be stored for further review and analysis to maximize the efficiency of inspections; alternatively, video can be streamed over IP. All functions can be controlled from a standard RC (e.g. Futaba) by a payload operator, or over IP. The USG-301 and USG-302 have been successfully integrated with a number of heavy-lift drones, including UAV America’s Eagle XF. For further information, contact the team at UKRSPECSYSTEMS.